Five Israelis were seen filming as jet liners ploughed into the Twin Towers on September 11, 2001 . . .
Who do you think they were? Palestinians? Saudis? Iraqis, even? Al-Qaeda, surely? Wrong on all counts. They were Israelis -- and at least two of them were Israeli intelligence agents, working for Mossad, the equivalent of MI6 or the CIA. After the attacks on New York and Washington, the former Israeli Prime Minister, Benjamin Netanyahu, was asked what the terrorist strikes would mean for US-Israeli relations. He said: "It's very good." Then he corrected himself, adding: "Well, it's not good, but it will generate immediate sympathy [for Israel from Americans]." If Israel's closest ally felt the collective pain of mass civilian deaths at the hands of terrorists, then Israel would have an unbreakable bond with the world's only hyperpower and an effective free hand in dealing with the Palestinian terrorists who had been murdering its innocent civilians as the second intifada dragged on throughout 2001. It's not surprising that the New Jersey housewife who first spotted the five Israelis and their white van wants to preserve her anonymity. She's insisted that she only be identified as Maria. 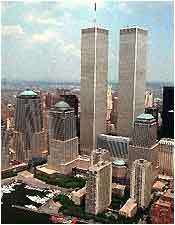 A neighbour in her apartment building had called her just after the first strike on the Twin Towers. Maria grabbed a pair of binoculars and, like millions across the world, she watched the horror of the day unfold. As she gazed at the burning towers, she noticed a group of men kneeling on the roof of a white van in her parking lot. Here's her recollection: "They seemed to be taking a movie. They were like happy, you know ... they didn't look shocked to me. I thought it was strange." Maria jotted down the van's registration and called the police. The FBI was alerted and soon there was a statewide all points bulletin put out for the apprehension of the van and its occupants. The cops traced the number, establishing that it belonged to a company called Urban Moving. Police Chief John Schmidig said: "We got an alert to be on the lookout for a white Chevrolet van with New Jersey registration and writing on the side. Three individuals were seen celebrating in Liberty State Park after the impact. They said three people were jumping up and down." 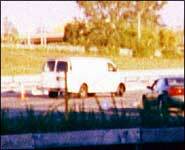 By 4pm on the afternoon of September 11, the van was spotted near New Jersey's Giants stadium. A squad car pulled it over and inside were five men in their 20s. They were hustled out of the car with guns levelled at their heads and handcuffed. In the car was $4700 in cash, a couple of foreign passports and a pair of box cutters -- the concealed Stanley Knife-type blades used by the 19 hijackers who'd flown jetliners into the World Trade Centre and Pentagon just hours before. There were also fresh pictures of the men standing with the smouldering wreckage of the Twin Towers in the background. One image showed a hand flicking a lighter in front of the devastated buildings, like a fan at a pop concert. The driver of the van then told the arresting officers: "We are Israeli. We are not your problem. Your problems are our problems. The Palestinians are the problem." His name was Sivan Kurzberg. The other four passengers were Kurzberg's brother Paul, Yaron Shmuel, Oded Ellner and Omer Marmari. The men were dragged off to prison and transferred out of the custody of the FBI's Criminal Division and into the hands of their Foreign Counterintelligence Section -- the bureau's anti-espionage squad. A warrant was issued for a search of the Urban Moving premises in Weehawken in New Jersey. Boxes of papers and computers were removed. The FBI questioned the firm's Israeli owner, Dominik Otto Suter, but when agents returned to re-interview him a few days later, he was gone. An employee of Urban Moving said his co-workers had laughed about the Manhattan attacks the day they happened. "I was in tears," the man said. "These guys were joking and that bothered me. These guys were like, 'Now America knows what we go through.'" Vince Cannistraro, former chief of operations for counter-terrorism with the CIA, says the red flag went up among investigators when it was discovered that some of the Israelis' names were found in a search of the national intelligence database. Cannistraro says many in the US intelligence community believed that some of the Israelis were working for Mossad and there was speculation over whether Urban Moving had been "set up or exploited for the purpose of launching an intelligence operation against radical Islamists". This makes it clear that there was no suggestion whatsoever from within American intelligence that the Israelis were colluding with the 9/11 hijackers -- simply that the possibility remains that they knew the attacks were going to happen, but effectively did nothing to help stop them. After the owner vanished, the offices of Urban Moving looked as if they'd been closed down in a big hurry. Mobile phones were littered about, the office phones were still connected and the property of at least a dozen clients were stacked up in the warehouse. The owner had cleared out his family home in New Jersey and returned to Israel. Nevertheless, their lawyer, Ram Horvitz, dismissed the allegations as "stupid and ridiculous". Yet US government sources still maintained that the Israelis were collecting information on the fundraising activities of groups like Hamas and Islamic Jihad. Mark Regev, of the Israeli embassy in Washington, would have none of that and he said the allegations were "simply false". The men themselves claimed they'd read about the World Trade Centre attacks on the internet, couldn't see it from their office and went to the parking lot for a better view. Their lawyers and the embassy say their ghoulish and sinister celebrations as the Twin Towers blazed and thousands died were due to youthful foolishness. "The assessment was that Urban Moving Systems was a front for the Mossad and operatives employed by it." He added that "the conclusion of the FBI was that they were spying on local Arabs", but the men were released because they "did not know anything about 9/11". BACK in Israel, several of the men discussed what happened on an Israeli talk show. One of them made this remarkable comment: "The fact of the matter is we are coming from a country that experiences terror daily. Our purpose was to document the event." But how can you document an event unless you know it is going to happen? We are now deep in conspiracy theory territory. But there is more than a little circumstantial evidence to show that Mossad -- whose motto is "By way of deception, thou shalt do war" -- was spying on Arab extremists in the USA and may have known that September 11 was in the offing, yet decided to withhold vital information from their American counterparts which could have prevented the terror attacks. 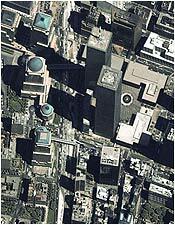 Following September 11, 2001, more than 60 Israelis were taken into custody under the Patriot Act and immigration laws. One highly placed investigator told Carl Cameron of Fox News that there were "tie-ins" between the Israelis and September 11; the hint was clearly that they'd gathered intelligence on the planned attacks but kept it to themselves. 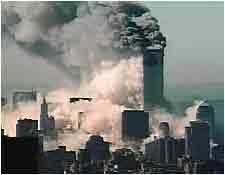 The Fox News source refused to give details, saying: "Evidence linking these Israelis to 9/11 is classified. I cannot tell you about evidence that has been gathered. It's classified information." Fox News is not noted for its condemnation of Israel; it's a ruggedly patriotic news channel owned by Rupert Murdoch and was President Bush's main cheerleader in the war on terror and the invasion of Iraq. Another group of around 140 Israelis were detained prior to September 11, 2001, in the USA as part of a widespread investigation into a suspected espionage ring run by Israel inside the USA. Government documents refer to the spy ring as an "organised intelligence-gathering operation" designed to "penetrate government facilities". Most of those arrested had served in the Israeli armed forces -- but military service is compulsory in Israel. Nevertheless, a number had an intelligence background. THE first glimmerings of an Israeli spying exercise in the USA came to light in spring 2001, when the FBI sent a warning to other federal agencies alerting them to be wary of visitors calling themselves "Israeli art students" and attempting to bypass security at federal buildings in order to sell paintings. A Drug Enforcement Administration (DEA) report suggested the Israeli calls "may well be an organised intelligence-gathering activity". Law enforcement documents say that the Israelis "targeted and penetrated military bases" as well as the DEA, FBI and dozens of government facilities, including secret offices and the unlisted private homes of law enforcement and intelligence personnel. "according to the FBI, Arab terrorists and suspected terror cells lived in Phoenix, Arizona, as well as in Miami and Hollywood, Florida, from December 2000 to April 2001 in direct proximity to the Israeli spy cells". The report contended that Mossad agents were spying on Mohammed Atta (left) and Marwan al-Shehi, two of leaders of the 9/11 hijack teams. The pair had settled in Hollywood, Florida, along with three other hijackers, after leaving Hamburg -- where another Mossad team was operating close by. Hollywood in Florida is a town of just 25,000 souls. The French intelligence report says the leader of the Mossad cell in Florida rented apartments "right near the apartment of Atta and al-Shehi". More than a third of the Israeli "art students" claimed residence in Florida. Two other Israelis connected to the art ring showed up in Fort Lauderdale. At one time, eight of the hijackers lived just north of the town. Put together, the facts do appear to indicate that Israel knew that 9/11, or at least a large-scale terror attack, was about to take place on American soil, but did nothing to warn the USA. But that's not quite true. In August 2001, the Israelis handed over a list of terrorist suspects -- on it were the names of four of the September 11 hijackers. Significantly, however, the warning said the terrorists were planning an attack "outside the United States". THE Israeli embassy in Washington has dismissed claims about the spying ring as "simply untrue". The same denials have been issued repeatedly by the five Israelis seen high-fiving each other as the World Trade Centre burned in front of them. Their lawyer, Ram Horwitz, insisted his clients were not intelligence officers. Irit Stoffer, the Israeli foreign minister, said the allegations were "completely untrue". She said the men were arrested because of "visa violations", adding: "The FBI investigated those cases because of 9/11." Jim Margolin, an FBI spokesman in New York, implied that the public would never know the truth, saying: "If we found evidence of unauthorised intelligence operations that would be classified material." Yet, Israel has long been known, according to US administration sources, for "conducting the most aggressive espionage operations against the US of any US ally". Seventeen years ago, Jonathan Pollard, a civilian working for the American Navy, was jailed for life for passing secrets to Israel. At first, Israel claimed Pollard was part of a rogue operation, but the government later took responsibility for his work. It has always been a long-accepted agreement among allies -- such as Britain and America or America and Israel -- that neither country will jail a "friendly spy" nor shame the allied country for espionage. Chip Berlet, a senior analyst at Boston's Political Research Associates and an expert in intelligence, says: "It's a backdoor agreement between allies that says that if one of your spies gets caught and didn't do too much harm, he goes home. It goes on all the time. The official reason is always visa violation." What we are left with, then, is fact sullied by innuendo. Certainly, it seems, Israel was spying within the borders of the United States and it is equally certain that the targets were Islamic extremists probably linked to September 11. But did Israel know in advance that the Twin Towers would be hit and the world plunged into a war without end; a war which would give Israel the power to strike its enemies almost without limit? That's a conspiracy theory too far, perhaps. But the unpleasant feeling that, in this age of spin and secrets, we do not know the full and unadulterated truth won't go away. Maybe we can guess, but it's for the history books to discover and decide.